Understanding others’ needs – How? In this video posted by the Emergency Fund board (click here) in Israel, Robi Damelin, expresses a shared perspective that, “We must understand the needs of the other and find a way to stop this never ending cycle of violence”. She describes that her son, David, died as a result of the Israeli-Palestinian conflict.The Emergency Fund has been initiated as a collective effort by Combatants for Peace (click here), The Parent’s Circle (click here), and The Palestinian-Israeli Peace NGO Forum (click here). To understand each other, here’s what you can do ‘here’. Because here and there only exist by virtue of the other. In other words, without “here”, “there” cannot exist. We talk in Bethlehem beside the Israeli government’s Separation Wall_16 Dec. 2010 Photo credit: M.J.
-In Edmonton, join the 4th Rally and March for Gaza on Wed., 30 July 2014 at 6:30 pm (click here). 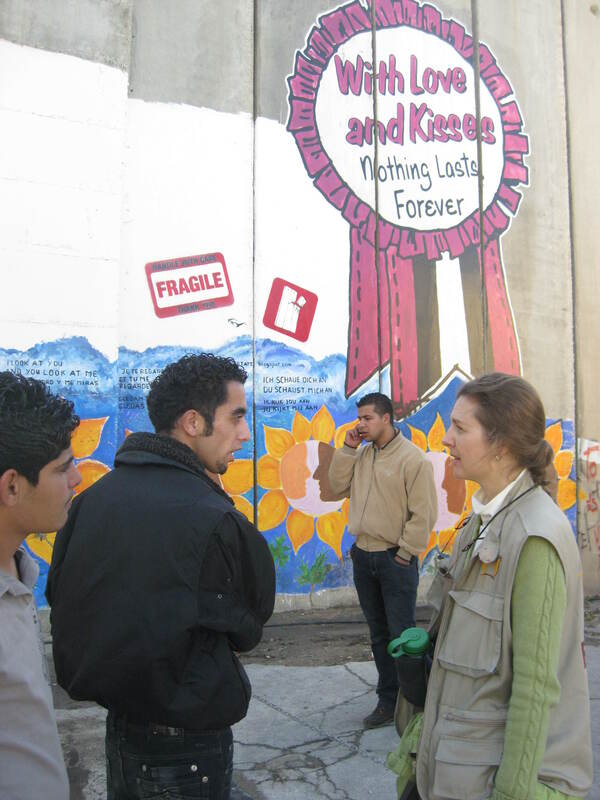 -In Canada, learn more about Canadian Friends of Sabeel and consider supporting their work for peace (click here). As a reminder, Sabeel is the Ecumenical Liberation Theology Center in Jerusalem. The centre was founded by Rev. Dr. Naim Ateek in 1990 and works for justice, peace, and reconciliation in Palestine-Israel. The word, sabeel, is Arabic for ‘the way’ and also ‘a channel’ or ‘spring’. -Sign this international petition (click here).